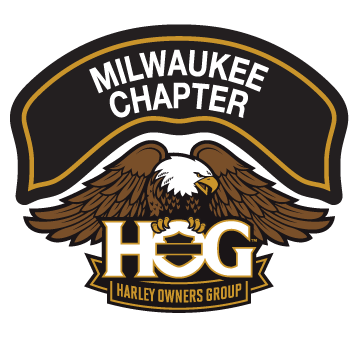 Chapter Meeting Reminder | Milwaukee Chapter H.O.G. Just a reminder that this Tuesday, June 19th, we are having 2 different things going on and each event will have an abbreviated meeting. You have the option to go to Great Lakes Dragway, kickstands up from HoH at 5pm, we will meet up with people from Racine at Route 20 at approximately 515 and then head to the drag strip. There will be a short meeting at the drag strip. Please visit House of Harley’s website for additional information if you want to run your bike down the quarter mile. Option two is an ice cream ride. Meet at House of Harley at 6, short meeting, and kickstands up at 630. Our 115th Anniversary patches have arrived and will be for sale at both events, $10 each, limited quantity.